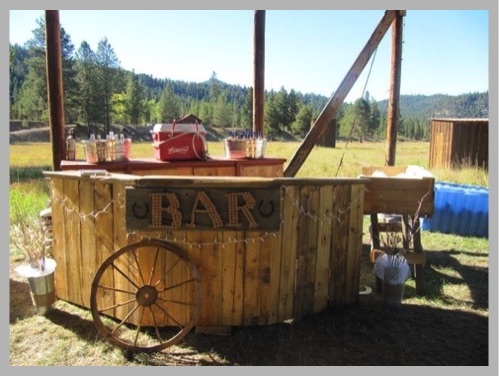 The Alta Ranch is an ideal wedding destination. 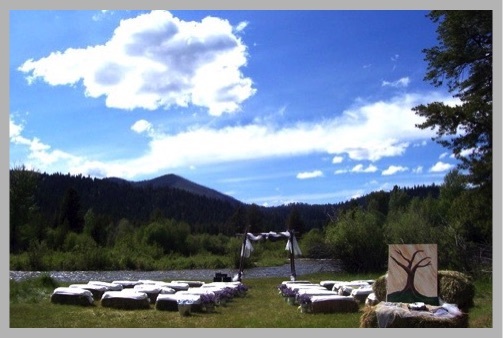 Stage your wedding next to the river or on the meadow with a spectacular view of the mountains and forest. Six deluxe cabins will accommodate your guests. 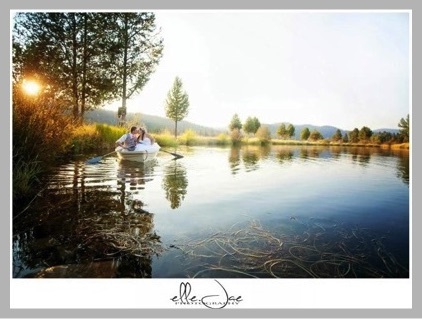 There are 350 acres to roam, a large pond, and romantic spots for wedding photographs to treasure forever. 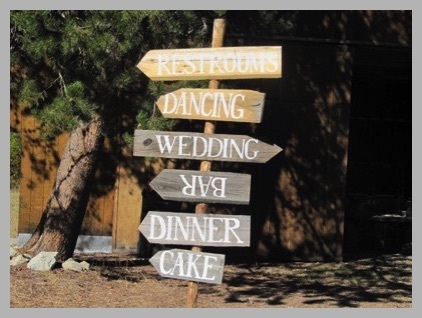 Indoor or outdoor options abound for the ceremony. 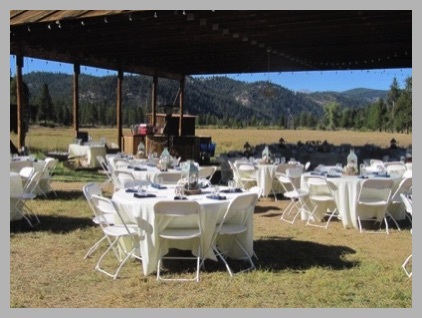 You may pitch a big tent or set up tables under the large hangar for dining and dancing. This wedding blog post shows some of the possibilities. 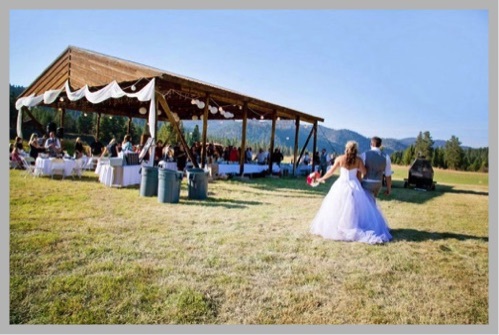 Whether you are looking for an intimate ceremony with only your closest friends or an extravagant celebration, you and your guests will fondly remember a magical wedding celebration at the Alta Ranch! $1,500 per night will rent all 6 deluxe cabins, including the Alta Vista, at the ranch for your wedding guests. A single $500 cleaning fee will be added.